Skillpro focuses on providing over 15 years of experienced comprehensive knowledge to aid in your home buying decision. Our primary goal is to provide a full evaluation of your home to assist you in protecting your investment and understanding its systems. We hold ourselves to the highest standard – professionally educated and certified in the International Association of Certified Home Inspectors. We will help you make an educated decision when purchasing your dream home! 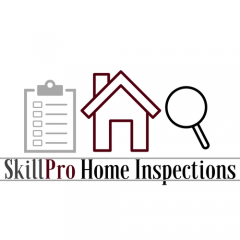 Skillpro home inspections was created with YOU in mind. We care about YOU, your family, and your investment. We pride ourselves on referrals from our clients. Our service does not end after the inspection; we hope that you continue as a part of our growing Skillpro Home Inspection family and network!